Originally published in strategy+business on October 17, 2018. Customer segmentation isn’t just a revenue tool, but also a way to achieve excellence in execution. 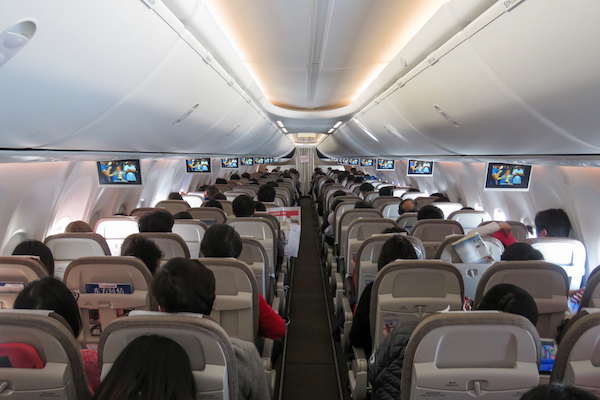 When it comes to customer experience, the airline industry takes a lot of criticism. Even a reasonably good air travel experience involves an ordeal: a remote airport, a long trek to the gate, a debilitating passage through security, a generally uncomfortable and squeezed-into seat, and, then, if you’ve checked bags, time standing around a conveyor belt anxiously awaiting their reappearance. No wonder customers’ videos about their air travel grievances — some trivial, some not — regularly go viral on social media. In the last year, all this angst has been seemingly exacerbated by the introduction of “basic economy”: a class of fare that’s less expensive than economy, is stripped of extras, and requires additional payment even for a seat assignment and, on many flights, overhead bin space. Basic economy customers are all but guaranteed to board last and sit in the worst seats on the plane. Aggrieved fliers argue that basic economy is just another way for airlines to mistreat them while extracting more money. Despite the moans, overall customer satisfaction with airlines hit a high in 2017, and declined only slightly in 2018, according to the American Customer Satisfaction Index Travel Report. In other words, the airlines are doing something right when they institute ideas like this. Indeed, in introducing the basic economy segment, airlines are carrying out a well-known practice that actually bespeaks good service design: clearly defined customer segmentation. If you understand how the airlines make it work, you can better understand how to segment customers in a less inherently problematic business — such as, presumably, your own. The key to basic economy is not what happens to the passengers who accept it, but what happens to the many passengers who avoid it. By creating a class of service many passengers shun, basic economy appears to have made ordinary service seem less bad. To be sure, moves like this have been moneymakers for the airlines. Over the past decade, ancillary revenues at the 10 airlines that collect the most in fees have risen steadily, from US$2.1 billion in 2006 to more than $28 billion in 2016, according to marketing and consulting firm Idea Works. But basic economy is much more than a quickie revenue driver. 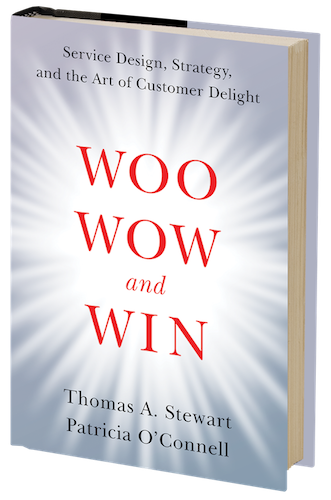 It is a way of segmenting customers into two groups: those who care about cost above all else and those for whom a moderately better experience can seem downright pleasant. In this way, the airlines are forcing customers and themselves to match experience and expectation. When there’s no confusion about what customers are paying for, life is simpler for both customers and employees. Customers know what they are getting, and it’s easier for the airline to execute because guidelines become guardrails. There is a larger benefit: The fare class allows customers to upgrade, often on an à la carte basis, to the level of experience or service that balances their wants and wallets. Although customers may be disgruntled when their wants don’t match their wallets, they can’t argue ignorance. Indeed, segmentation makes implicit the customers’ responsibility to co-create their experience. If you don’t like the lack of bells and whistles in basic economy, upgrade next time — and read the fine print. At the same time, segmentation provides guardrails that give employees the surety of their actions. Every business must identify its target customers, define the offering, and design the experience they will get. Segments such as basic economy make these rules explicit, which is helpful in a complex service business. For example, financial services and health insurance are two industries that have been overtly using this practice for years as a way to avoid over-servicing less profitable customers while being able to upsell to more profitable ones. In B2B relationships, segmentation may be more implied than stated, but it’s still critical. A basic economy offering promises something of genuine value to both parties — a low-cost alternative for budget-conscious fliers, and a source of potential extra revenue for the airlines — and that’s nothing for either customer or company to be ashamed of, particularly if it meets both parties’ needs. Any business can do better by segmenting its customers, whether it is done openly with tiers such as green, gold, or platinum, or tacitly. Create tiers of service. For example, automate lower-end services and use a personal touch at the higher end; or, in professional-services businesses, have junior associates serve less important clients and oversee more commoditized offerings, while more seasoned partners handle the bigger, more complex deals. Encourage tier jumping. Let customers know what the perks of a status bump are and how to move up a level. This can persuade budget-minded customers to jump to premium ranks. Examine customer requests and employee complaints. This allows you to uncover promising new opportunities. For example, are you repeatedly turning down customers’ requests to offer a particular product or service? Satisfying these requests could result in a profitable new line of business while keeping your customers happy and encouraging them to come back. The financial-services sector already segments well with credit card types, but what about further segmenting, such as offering accounts that don’t include paper checks or access to live tellers? We are now in an à la carte and customized world. Consumers download (and pay for) apps for entertainment rather than subscribe to an omnibus cable packages. Businesses of all kinds offer shoppers the choice of overnight, expedited, or standard delivery options, at different price points. Basic economy is part of this trend, which will only expand as companies harness technology and customer data to create ever more targeted customer experiences. The promise — not yet fully proven — is that sophisticated segmentation can lead to a sweet spot where profits and customer satisfaction rise together.